This updated home has 3 bedrooms, and 2 baths. This property features a two-car garage, recessed lighting, a fireplace in the living room, and hardwood and carpet throughout the interior. Create culinary delights in the kitchen which boasts modern appliances, an adjacent eat-in area and plenty of storage in the cabinets and pantry. Don't miss the patio in the fenced backyard, perfect for relaxing or cooking out. Most Pets Welcome! 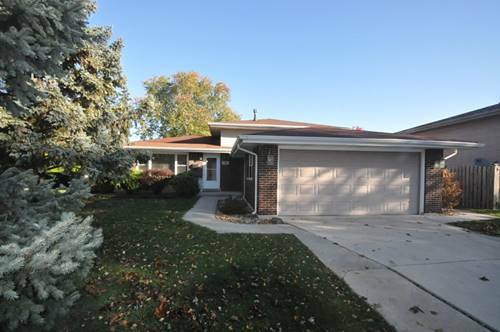 For more information about 7512 170th, Tinley Park, IL 60477 contact Urban Real Estate.